Minneapolis is the home of TCF Bank Stadium, Peavey Plaza, Nicollet Mall, and the Minneapolis College of Art and Design. Enjoy the larger of the two Twin Cities. We've helped many people with therapy, health and wellness in Minneapolis and elsewhere in the North Star State. 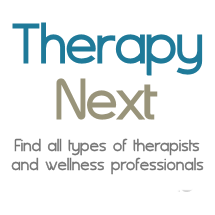 Therapists in Falcon Heights, St. Louis Park, Columbia Heights, Golden Valley, Robbinsdale, Brooklyn Center, New Brighton, Winnetka Hills.